Last Weekend I was in Thuringia, at Radaddels Wide Open Door Day. It was a fun weekend, again tabletop loaded. But this time not only as a customer / visitor. I held a seminar on the status quo of wargaming in Germany, and helped out Mantic and Warlord Games doing an Q&A. 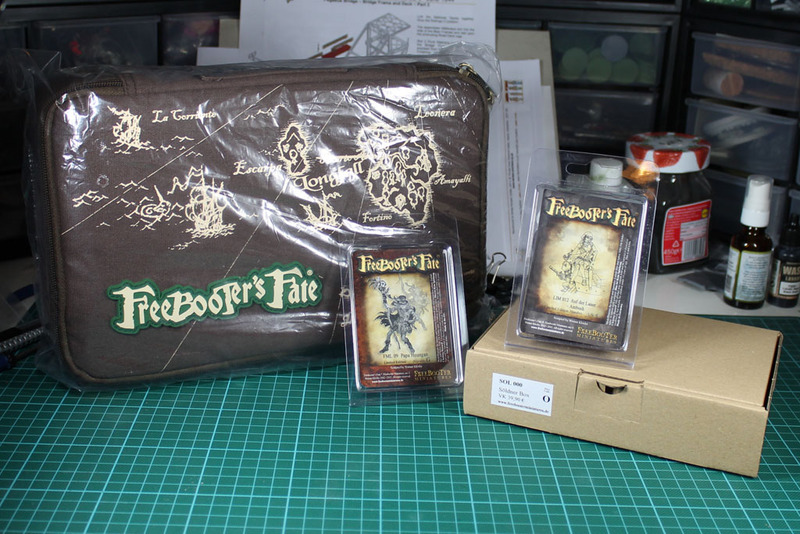 And i did some shopping, i stocked up on Freebooters Fate. 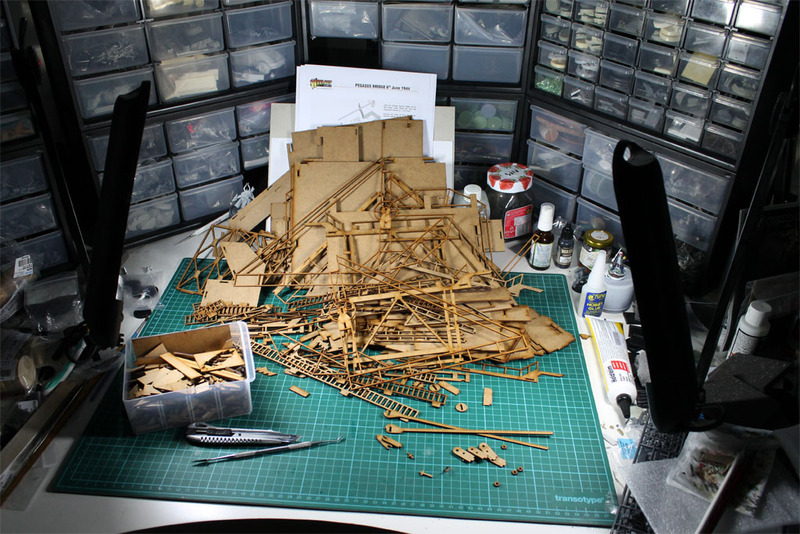 In preparation of the Rowdd i started building the Pegasus Bridge for Bolt Action. 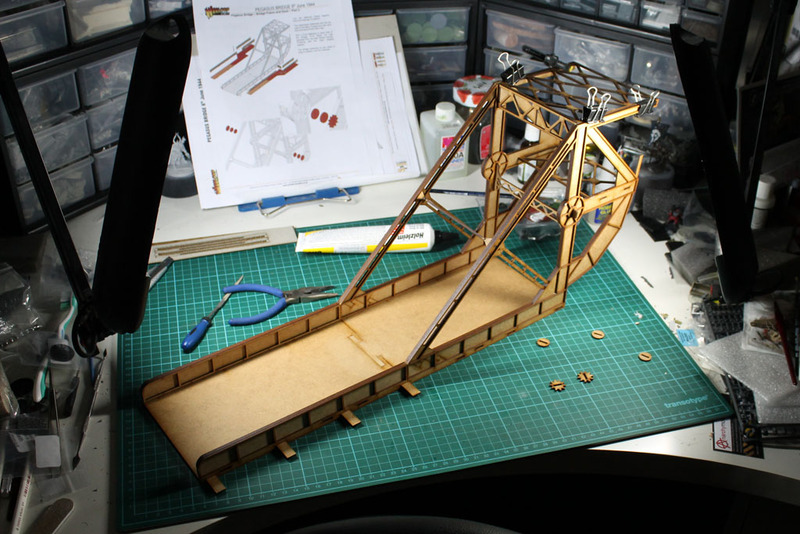 From that big pile of mdf, that took ages to prepare from the sprues and clean up, to the major parts like the moving bridge it took me a sunday afternoon and 2 evenings to build everything. Pew, but i am happy i pulled through. 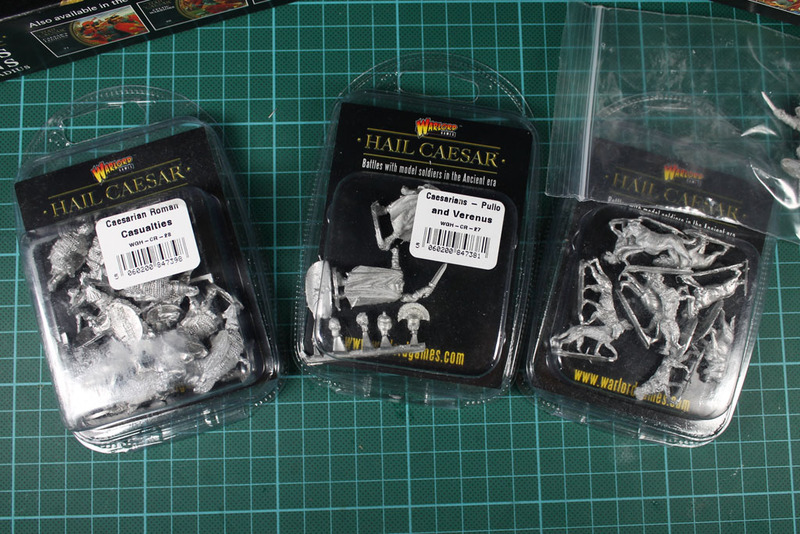 And finally some missing blisters arrived to complete the base for a Roman SAGA Project. 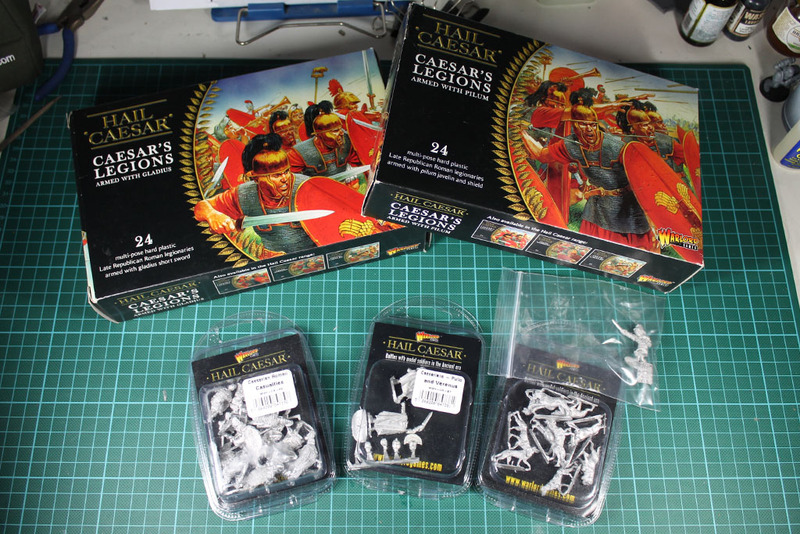 I'll use these caesarian romans with the scottish army list and build a SAGA Warband. Using Titus Pullo and Lucius Vorenus as Warlords. 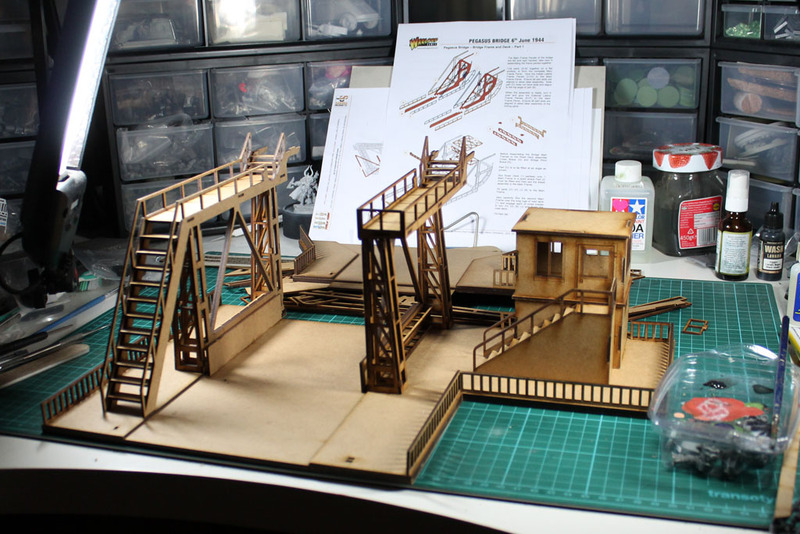 Weekend will once again be devoted to miniatures, a bit of painting and quite some reviewing once again. I'll keep you posted. “Status Quo des Tabletops in Deutschland”? Wie steht es denn so um unser liebstes Hobby?